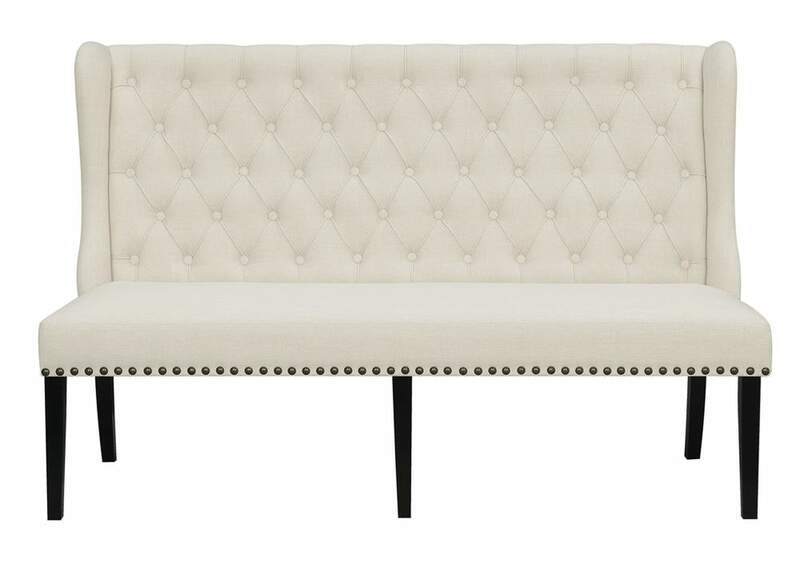 Enjoy timeless style and dependable comfort with this traditional cream bench from the Mapleton Collection. This piece brings contemporary flair to classic features – the wingback design, the border of decorative nailheads, and the deeply tufted back are all brought up to date with striking modern construction. Use at a dining table, entryway, or anywhere that compact yet cozy seating is desired.